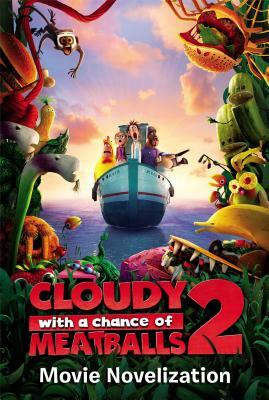 Experience the foodalicious fun of Cloudy with a Chance of Meatballs 2 in this riveting retelling. Comes with eight pages of images from the movie! Everyone in Swallow Falls is celebrating Flint Lockwood’s defeat of his food-creating machine, the FLDSMDFR. Then world-famous inventor and Flint’s idol, Chester V, arrives and offers to have his Thinkquanauts clean up the tiny island. Flint is thrilled—but cleaning up Swallow Falls is proving very complicated. It seems that the FLDSMDFR is still creating all sorts of living food animals that are attacking Chester V’s cleanup crew. This retelling of the Cloudy with a Chance of Meatballs 2 movie includes eight pages of images from the film.